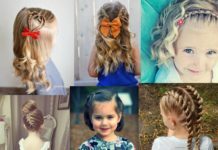 There is such a wide variety of braid styles that “just a braid” is no longer an adequate description or request for the stranded look. 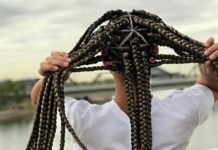 Braids date back to early civilizations: viking were though to have braided hair and the village girls of yore kept their hair pulled back in braids. Ranging from simple to complex, braids styles are visually stunning. Although braiding your hair (or a friend’s!) requires great dexterity and focus, the results are works of art you can wear in your hair. We’ve collected 25 stunning braided hairstyles and we encourage you to go out of your comfort-zone and recreate one of these beautiful, unique braids. A sporty, playful look, double french braids are great for keeping you hair from your face and off of your neck. To achieve this look, part your hair in the middle and french braid both sections starting from your forehead and adding strands as you go around your head; secure ends with elastic and you’re good to go! A new take on a fairly modern look, you can re-create this laidback style with a bit of time and effort. Begin by fishbraiding your hair: divide your hair into two sections and take half of the left section, cross over and rejoin your hair. Continue until you can secure with an elastic and rough up your braid by pulling strands loose for a messy, relaxed vibe. Voila! This chic style combines the best of both worlds: braids and messy buns. 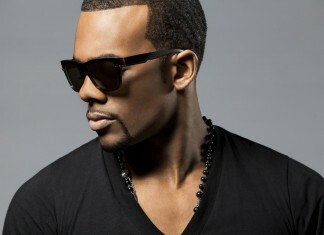 To begin, secure the top section of your hair away from the bottom. Take your bottom and french braid upwards, securing with an elastic and pin at the crown. 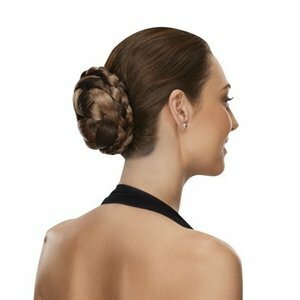 Create your bun over the pin to hide the tip of your braid and you’re ready for date night, class, or a trip downtown. 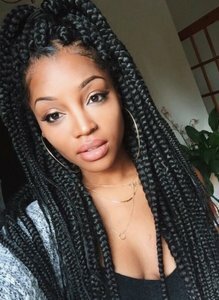 Looking for cool braided hairstyles for black girls? A classic look that screams ‘glamour’, box braids are a semi-permanent style that will likely need a professional’s touch. Go to your nearest salon and schedule an appointment to insure you have tight, uniform braids. Once braided, you can style your hair many ways: half-up, in a ponytail, or wear it loose. 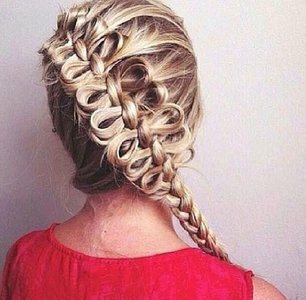 This Dutch braid is one of the latest most popular cute girl hairstyles! Similar to the french braid, the dutch braid encompasses the majority (if not entirety) of your hair. 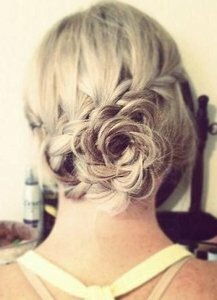 Instead over braiding strands over one another as your do with the french braid, you pull them underneath each other for this funky ‘do. For added style, pull strands to loosen once you’ve secured your braid! 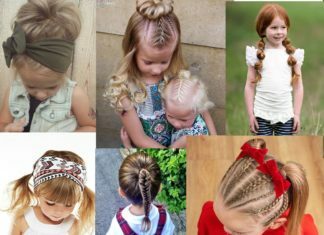 A timeless look that bring to mind images of village girls in aprons carrying heavy pails of milk, the milkmaid braid is the mother of the crown braid. To create this mess-free style, part your hair evenly and create two simple, double-plaited braids. Cross them over the top of your head and secure with pins behind your ears (or below each braid) for a hassle-free look. 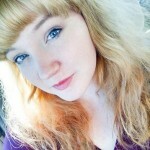 If you’re looking for simple but cute hairstyles for girls, give this look a atry! Another style that adds spice to the bun, the double-braid bun is created by taking a ponytail and separating into two sections. 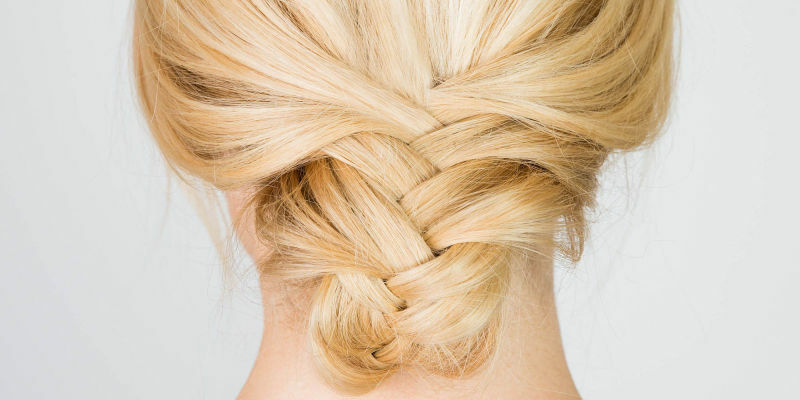 Braid each section and wrap around one another, securing with pins to create a bun. Play around with the height of your ponytail and vary your braids thickness for new looks. Chances are that even if you’ve never created a fancy braid, you know how to do a traditional tri-strand braid. Although this style is simple, it is effective: it keeps hair out of your face and it can be jazzed up with embellishments, hair chalks, or by tugging loose strands to texturize your braid. Create by sectioning hair into three sections and crossing over one another, securing with elastic. 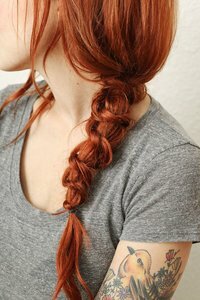 Visually simple, the rope braid can be challenging to recreate as your hair will want to twist instead of braiding. 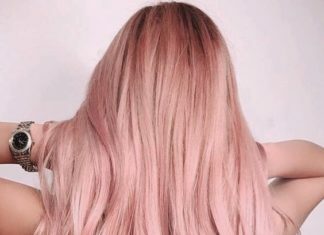 Mediate this by first pulling hair into a ponytail, then twisting your hair in one direction and wrapping two sections together in the opposite direction. 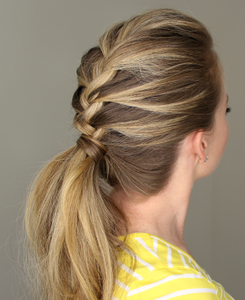 If done correctly, your braid will be secure and look perfect for a girls’ night out. Create a waterfall braid by braiding from the front like a french braid, but feed strands from the top of your hair after you cross over a strand. 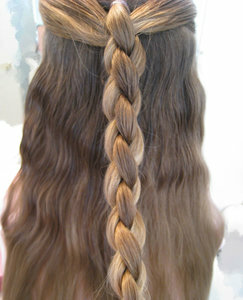 In time, each strand will emerge from the bottom of the braid to create a waterfall effect. This look screams “fairytale romance” to me, so save it for special occasions! While this look may seem daunting, it is easy to recreate once you get the hand of it! Beginning with a french braid, leave a section of hair loose adjacent to your braid. After creating the initial braid, take strands from the loose section and loop around to create this whimsical effect; secure with pins and hairspray. Try this look out and dazzle your friends! If you want to make easy and cute hairstyles for school try the feather braid! 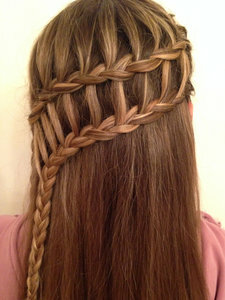 Similar to the waterfall braid, feather braids are created with two strands instead of a french braid as a base. Simply take two strands and cross over, inserting an adjacent strand through the middle of each cross. This look is a great way to add flare to an otherwise loose hair day. 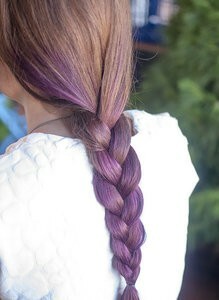 A very recent phenomena, the loop braid is visually stimulating and intriguing. You literally create this look by gathering and knotting your hair until secure with a bobby pin, then pulling the outermost strands loose for an apparent gravity-defying style. Save this one for extra-glam days. 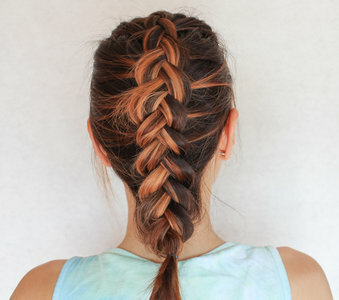 The ladder braid can be created on loose hair or on a ponytail; it’s perfect for special occasions. Create one braid along the top of your style and then create another, smaller adjacent braid; while creating the smaller braid, pull loose strands under your crossed strand to create a ‘ladder’ effect and you’re all set! Another look that we recommend having your professional stylist attempt if you wish to create these braids all over your head. Twist braids are often thick and can be worn loose or pulled up for different looks. 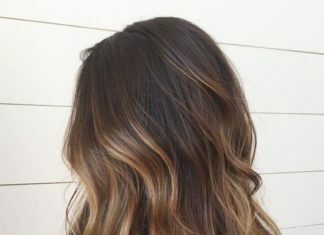 This style is semi-permanent, so be read for commitment before attempting! 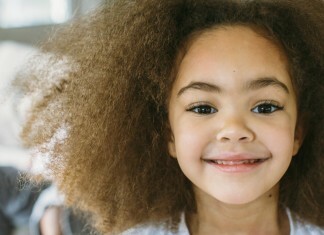 this is one of the cutest hairstyles for little black girls! 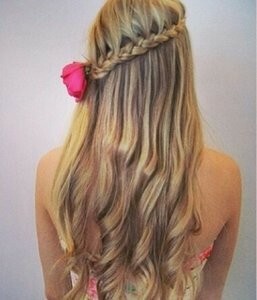 The last of the half-braided, half-loose looks, the lace braid is particularly dainty. Style like a normal french braid, but only pull strands in front the right side of your hair instead of in one solitary braid. When you’ve reached the end of your braid, you can secure with a cute pin for added flare! Section hair into four pieces and pull the middle sections under the outermost pieces, then weave left to right. This look can encompass your whole hair or just the top half; play with textures for different styles. 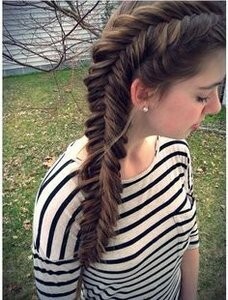 The reverse fishtail braid create a ‘v’ in your hair that points upwards instead of down, like the usual fishtail braid. Unlike the mother style, you braid by pulling sections under one another to reverse the zipper effect. Great for everyday styling! 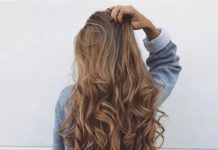 We love easy and quick hairstyles! Five strand braids are created by dividing hair into five sections, then weaving under one another by even-odd incriments (ie, the secon section goes under the third, the fourth under the fifth). This look is worn best when you pull sections loose. 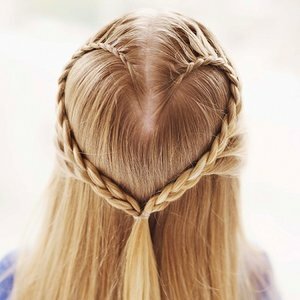 Another intriguing, seemingly complicated style: heart braids! Begin two french braid that curve upwards and then down your head, stopping halfway down your length. Secure the ends together for to create this romantic look! This style works well for Valentine’s Day. Like the loop braid, this style is created by simple tying knots in your hair. However, once the braid is secured, do not loosen your sections. This looks is quick and easy for on-the-go stylists or for second (or third) day hair. 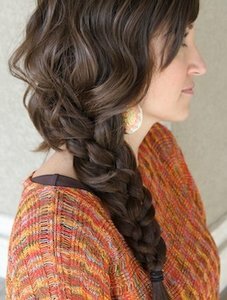 Taking a dutch braid, secure along your head with pins until you come to the nape of your neck. Wind the braid around itself to create a bun, securing the tip beneath the ‘rose’ of your braid. Pull the bun sections loose to create petals and wear this style to weddings or special occasions. 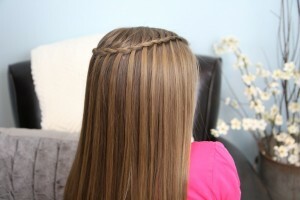 To basket weave your hair, begin with a waterfall braid. 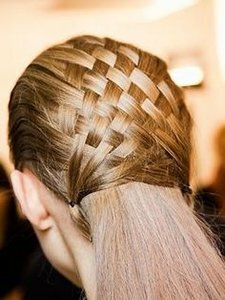 Take an adjacent section and weave with the waterfall strands; repeat until you’ve created a ‘basket’ pattern in your hair and then secure with pins. Wear this style out to art museums or when you’re looking to impress the girls with your hair prowess. Not every french braid is destined to remain a mere french braid! French braid half of your top layer and then secure with an elastic, pulling the tail and the remainder of your hair together in a ponytail. For added glamour, section off one strand to wrap around your ponytail. Peek-a-boo braids are the easiest, simple, and most versatile braid. Simply take small sections of hair and braid (any type of braid is fine) then secure with elastic, leaving the majority of your hair loose. This style is simple, laid-back, and versatile. 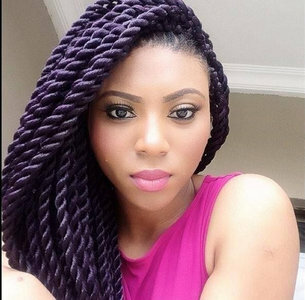 We hope you’ve enjoyed our top list of hairstyles with braids and Cute Braids ideas for girls!